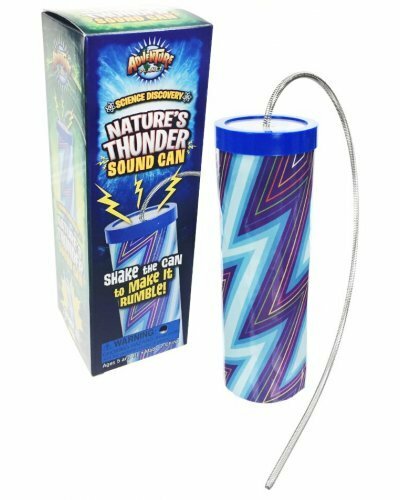 The incredible Thunder Sound Can makes amazing thundering sound! 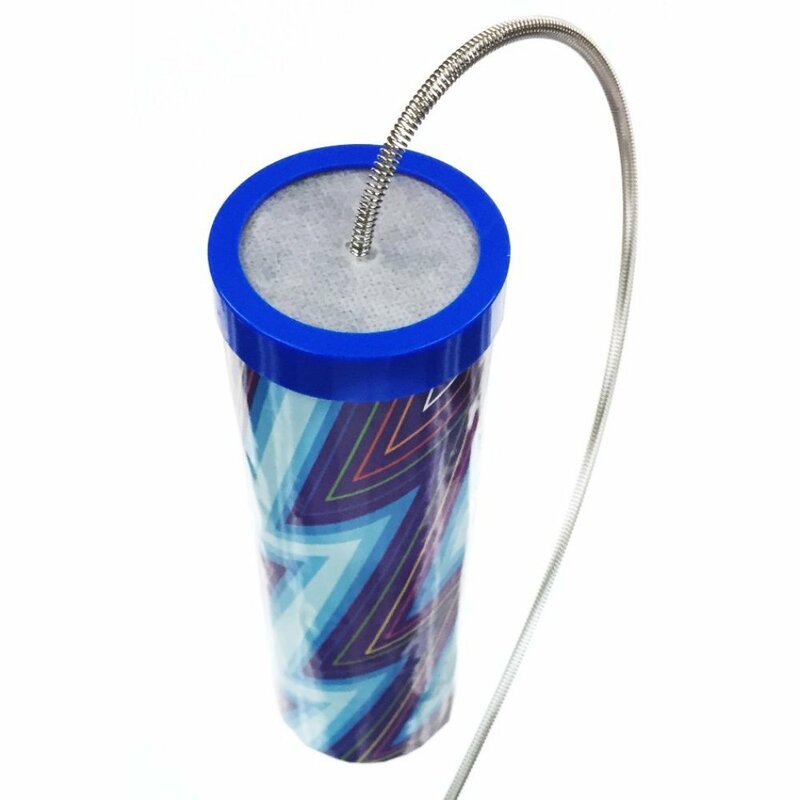 With a blue can and a long coiled wire, this classic sound effects toy makes a fantastic rumbling sound. 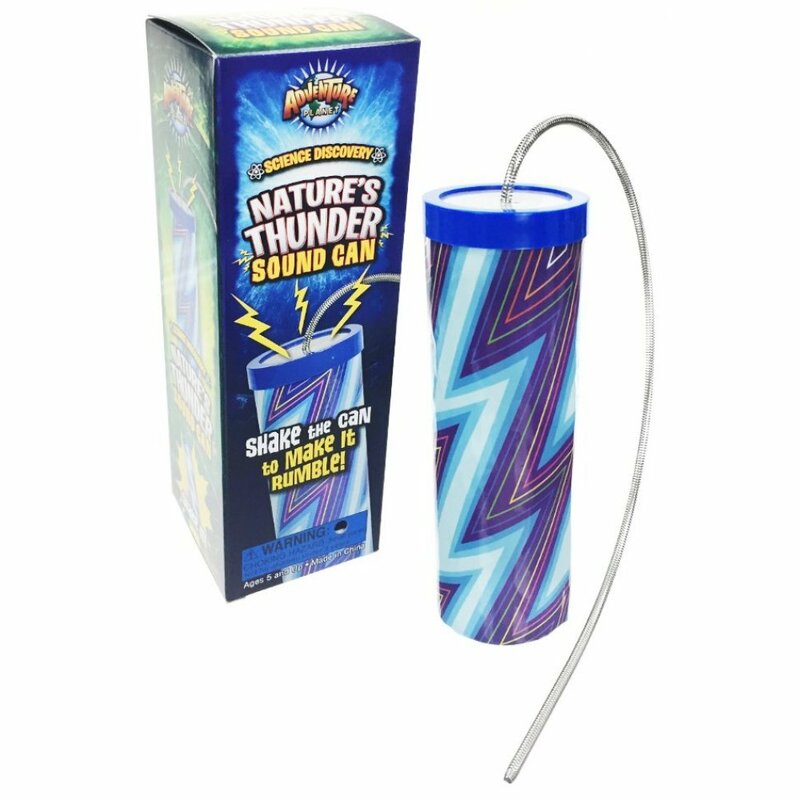 Just shake and wiggle the sound to make the loud realistic thunder sounds. Your friends and family will not believe their ears! 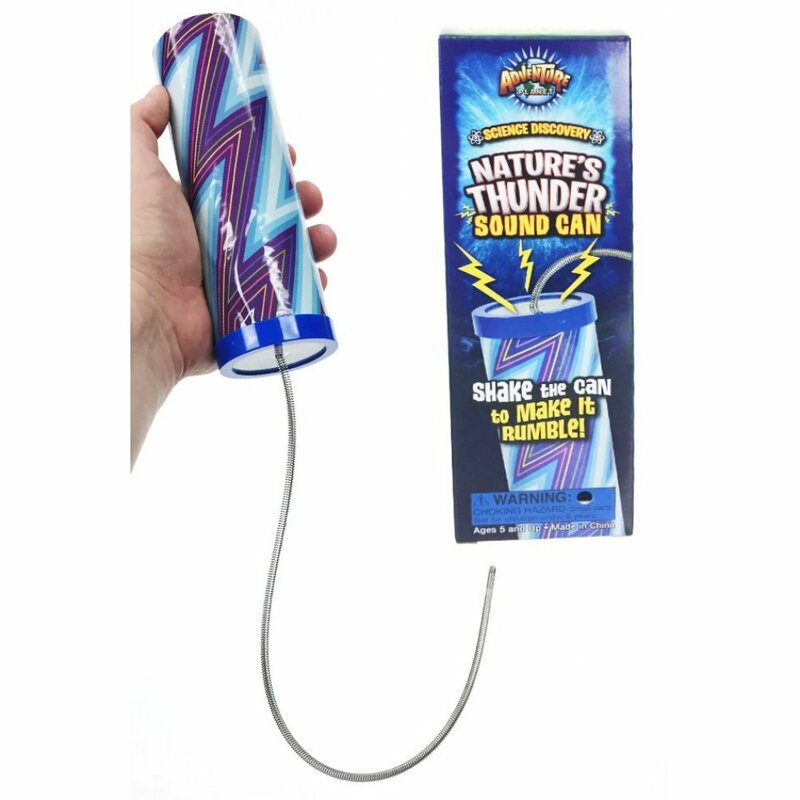 Package: Color Gift Box - "Science Discovery - Nature's Thunder Sound Can"
The Classic Magic Spring toy - Mr Springy! 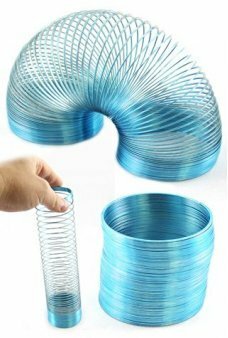 Our blue Metal Mr. Springy has a nice blue and chrome col..
You get 4 times more play putty in the Big Putty Egg! 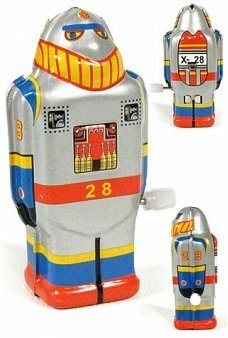 Our huge yellow Egg contains 50 grams of fun s..
Our Mini Super Robot X28 is a cute and tiny version the original Tetsujin 28-go tin toy robot. 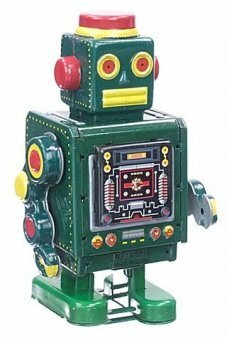 Super..
McGreen Machine proudly shows his circuitry on his chest and back! Just windup the McGreen and the r..